Wendy Mitchell Lewis is a rare and exceptional talent with the kind of vocal versatility that only few women of gospel possess. A native of the twin island republic of Trinidad & Tobago, Wendy started singing in church at 13 years of age, and it did not take long for her skills and strong vocal ability to win her roles that led to years of singing as a professional. Wendy sang with some of the great Calypso singers, including The Mighty Sparrow, Baron, Kitchener and Calypso Rose, and has also toured as a cabaret artist at hotels, bars and lounges. One of the greatest accomplishments for Wendy was joining the world renowned Byron Lee and the Dragonaires in 1984 as their first female vocalist. She toured the United States, Canada, Europe and the Caribbean with the band and appeared with many musical greats like Ben E. King and Freddy McGregor to name a few. But it is the richness of a voice that releases so distinct a melody, coupled with her ability to bring a harmonious sound to singing that makes her such a singer of distinction. Wendy sings many parts and sings them so well that she holds the attention of many, and has sung for Prime Ministers Edward Seaga (Jamaica) and Raymond Robinson (Trinidad & Tobago), Merv Griffin, Congress Woman Yvette Clark and other prominent political entertainment leaders. Wendy has sung at the famous Hippodrome Club in London, Madison Square Garden in New York, The Palladium in Los Angeles, and The National Stadium in Barbados. She has been recording music ever since she joined Byron Lee and the Dragonaires in 1984. The Wendy of the present is very different. She has changed her life and music – and her music is changing lives. Her voice now, she contends, is but a vocal instrument used to minister to others and to touch lives. Pastor Mitchell brings her contemporary style of traditional gospel music to a perfect blend with her background in calypso and reggae. Thus, the creation of a singing sensation that mesmerizes her audience with the kind of musical genre that blends the popular Caribbean sounds with traditional and contemporary gospel music. She is highly driven by her passion to evangelize and lead others to Christ, to train young people for ministry and to teach the Word of God. She can be found traveling the world preaching at crusades, singing and providing missions outreach to the worlds less fortunate. She is a Pastor, who is also actively involved in ministering at Homeless Shelters, Drug Rehab Centers, Nursing Homes, Prison’s and at various hospitals through out New York City and is the Pastor of Regenerating Lives Ministries Inc. located in Brooklyn, New York. She is a student and teacher of the Word, but her passion above all passions, is to raise her melodious voice in praise to God and to win souls for his kingdom. She released her first gospel CD -The Upward Way- in June of 2003, and followed with her second CD release -New Life/ New Hope-and First Visionary Fathers Awards ceremony in June of 2005. 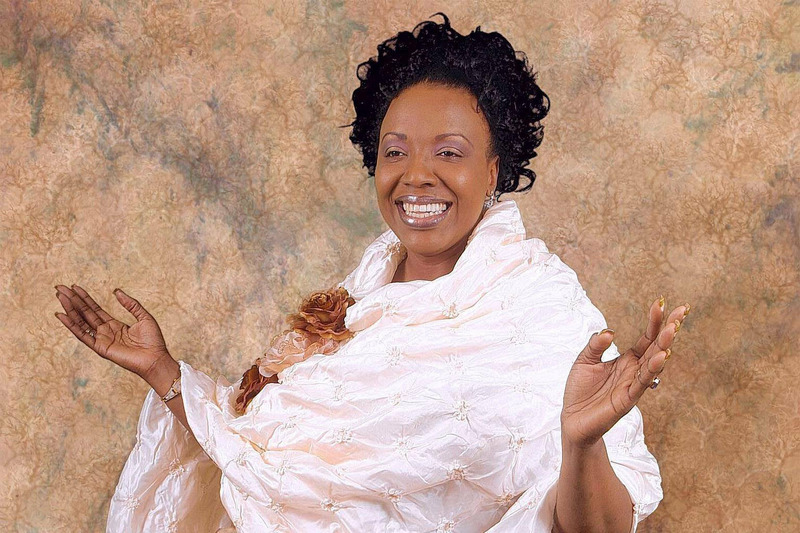 She has since released a total of six gospel albums. Pastor Mitchell has attended -Christian Gospel Missions College- with studies in Theology, Christian Counseling and Children’s Ministries. She is currently at school pursuing her Doctorate in Theology.